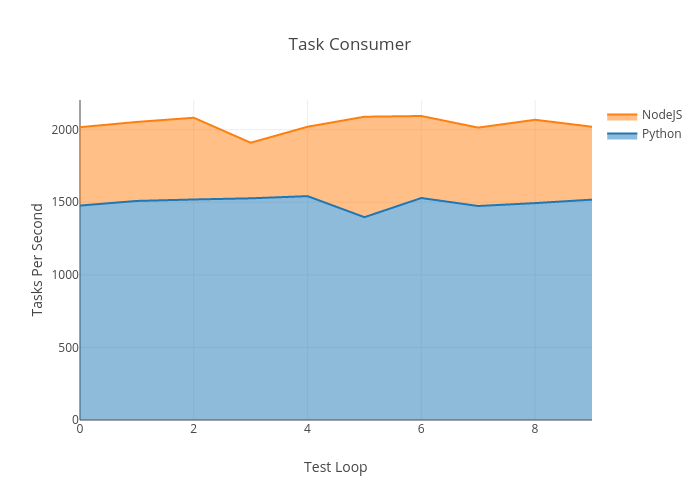 En0's interactive graph and data of "Task Consumer" is a filled line chart, showing Python vs NodeJS; with Test Loop in the x-axis and Tasks Per Second in the y-axis.. The x-axis shows values from 0 to 9. The y-axis shows values from 0 to 2204.2105263157896.